PFLAG meetings are relaxed and informal, and everyone is welcome. They typically include a mixture of LGBTQ people and alies. We start with a brief information/business session and devote the remaining time to support. 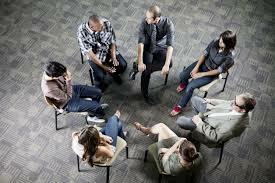 Each person has an opportunity to speak, but no one is pressured; discussions are completely confidential. We occasionally have a film or a short presentation by an outside speaker. People who come to our meetings are extremely varied. They range from those who have just learned that their loved one is LGBTQ and who are struggling with disappointment and concern, to those who embrace their children's or loved one's sexual orientation, gender identity, or gender expression. LGBTQ persons, some closeted and some out, are also active participants.